Reactions have started trailing the murder of the immediate past Chief of Defence Staff, retired Air Chief Marshall Alex Badeh by unknown gunmen on Tuesday. 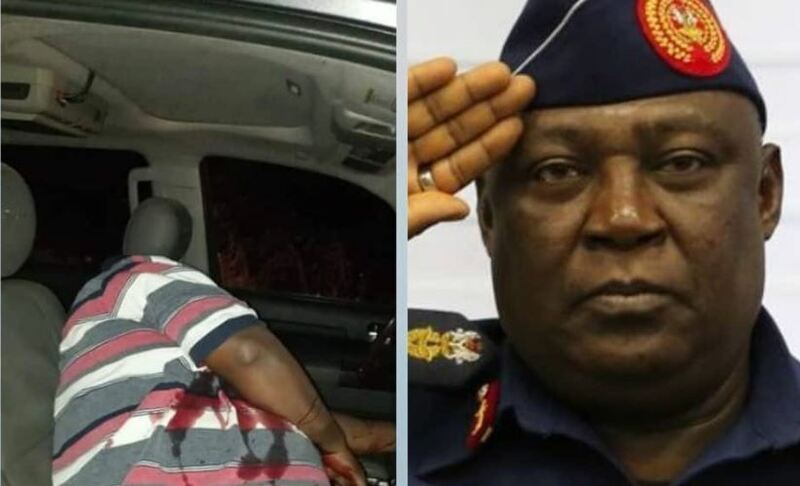 The Nigerian Air Force had announced in a series of tweets late Tuesday that Mr Badeh was shot dead by unknown gunmen yesterday along the Abuja-Keffi road. In his reaction to the news, Senate President Dr Bukola Saraki described Badeh’s death as a “great loss” to the nation. Reacting also to the shocking news, the Speaker of the House of Representatives, Hon. Yakubu Dogara described as “saddening and alarming,” the report of the former Defence Chief’s murder. “News of the gruesome murder of the former Chief of Defence Staff, Air Chief Marshal Alex Badeh, is both saddening and alarming. My thoughts and prayers are with his family and loved ones, and I hope that those responsible are swiftly apprehended and brought to justice,” Dogara said in tweet. Delta State Governor, Ifeanyi Okowa, while commiserating with the family of the deceased, described the assassination as an ‘unfortunate and terrible incident’. He, therefore, urged security agencies to bring Badeh’s killers to book. He tweeted, “The killing of former Chief of Defence Staff, Air Chief Marshal Alex Badeh by unknown gunmen is quite unfortunate and a terrible news just like the case of General Idris Alkali who was abducted and later killed. “I appeal to security agencies to work together and unmask those involved in the heinous crime that led to the death of the retired Defence Chief. “Our country is being bedeviled by one manner of killings and abductions or the other. We never knew that it would deteriorate to a level where a former Chief of Defence Staff would be murdered in such a gruesome manner. On his part, former Aviation Minister, Chief Femi Fain-Kayode, said Badeh’s murder was despicable and that those behind it must not go unpunished. “The brutal murder of the former Chief of Defence Staff and former Chief of Air Staff, Air Vice Marshall Alex Badeh, is a despicable and cowardly act. Those that were behind it shall not escape justice and they will pay a terrible price for their wickedness. God will avenge,” said Fain-Kayode.